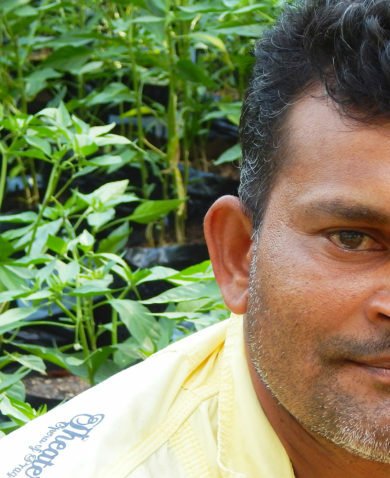 Protecting Farmers Through Safe Pesticide Use in Sri Lanka. Ramanathan Pararajasingam starts many farmer training sessions in Sri Lanka with a bottle of water. He explains that he must drink bottled water in these communities because the local water supply might make him sick. Why? 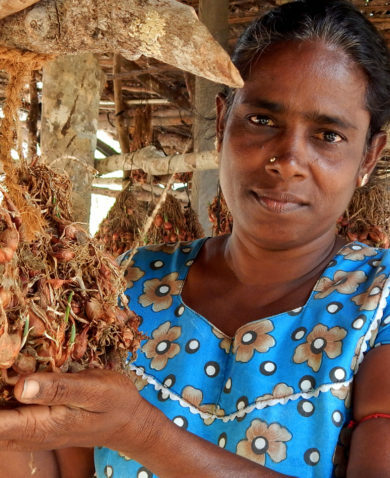 Although most Sri Lankan farmers use agricultural chemicals to control pest and disease attacks these days, many haven’t been properly trained on application practices. As a result, these chemicals have a high chance of contaminating water supplies. This simple tactic helps Mr. Pararajasingam show his audiences why proper pesticide usage is so critical. A considerable number of accidents occur each year in Sri Lanka as a result of pesticide mistakes, causing eye, skin, and respiratory infections. In addition to damaging farmers’ health, using the incorrect pesticide or too much of it can limit its effectiveness. Given that one-third of the country’s working population is involved in agriculture, improper pesticide use is an issue that must be addressed. The Sri Lanka Supporting Opportunities in Livelihoods Development (SOLID) project, funded by USAID and implemented by Chemonics, is training farmers and raising awareness about the safe and responsible use of pesticides to prevent additional accidents, protect farmers’ health, and improve their efforts in the field. 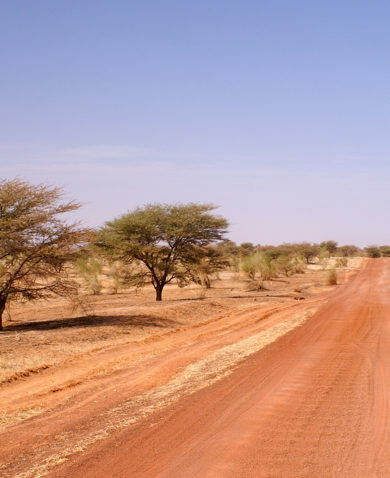 During visits to farmers in the project’s first year, it became clear that farmers were relying on chemical pesticides too much and using any pesticides they could buy without proper guidance. Many farmers were also incorrectly using their protective gear — if at all — and not maintaining the application equipment. Realizing that educating farmers was a key first step to changing behaviors, SOLID staff designed training and awareness activities to address these problems. The training encourages farmers to first use non-chemical methods of pest control and to turn to chemicals as a last resort. 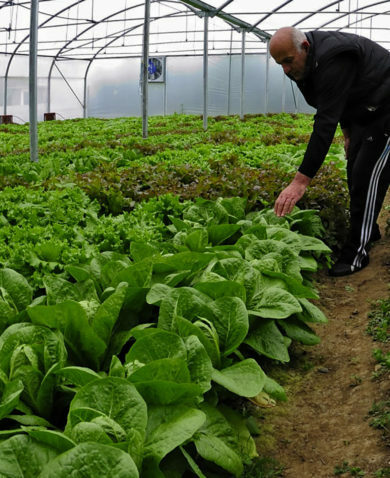 It also teaches methods for using pesticides and pest management responsibly and safely, as well as ways to minimize harm to the farmer, crop, environment, and community. 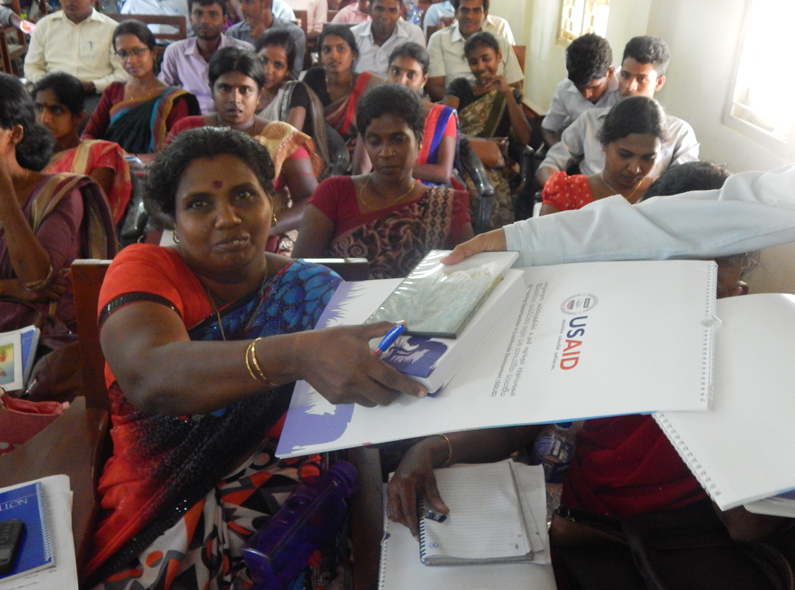 In collaboration with its private sector partner, CropLife Sri Lanka, SOLID has trained 2,998 beneficiaries and 269 government officials as of April 2016. 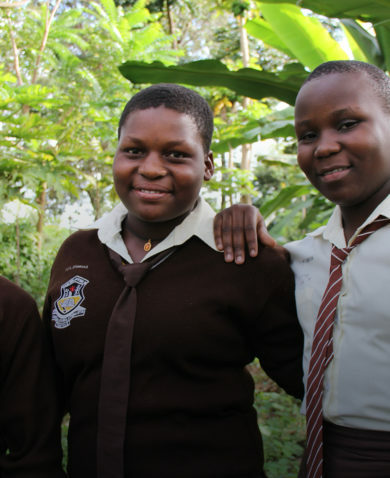 Now in the project’s second year, SOLID is supplementing its training with an awareness campaign featuring videos, posters, calendars, and notebooks that deliver messages to a broader audience on using pesticides safely and responsibly. These materials address the main questions asked by farmers and problems identified by staff during their field visits. 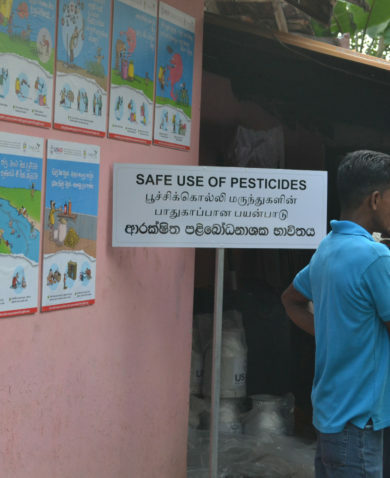 The posters, calendars, and notebooks use cartoons to encourage safe pesticide use through simple and effective messages, all of which have been approved by the registrar of pesticides, the director general of agriculture, and CropLife Sri Lanka. 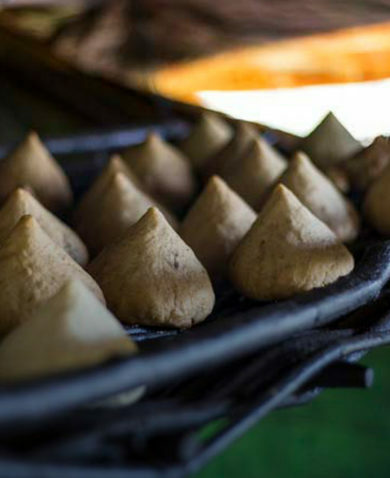 The materials are produced in English, Sinhala, and Tamil — the three languages spoken in Sri Lanka. All farmers can learn from the cartoons, regardless of their literacy level or language. In the first round of printing in December 2015, SOLID produced 2,500 posters, 3,500 calendars, and 3,500 notebooks. 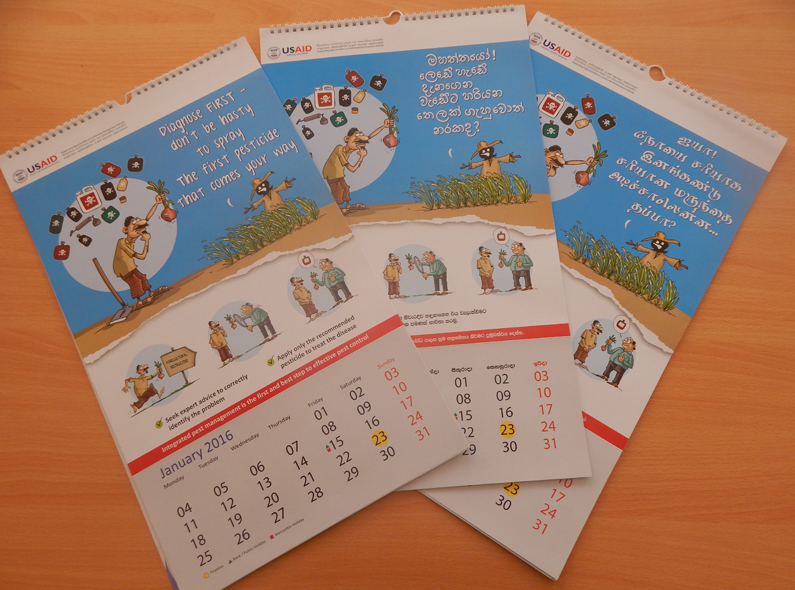 Project beneficiaries, as well as government agricultural staff, private sector partners, and stakeholders, each received one calendar and one notebook. Since December, staff conducting field visits have seen farmers using the materials; many have even hung the calendars in their homes. After Sri Lanka’s director general of agriculture and government agriculture staff requested additional posters, the project printed 8,400 more posters in Sinhala and Tamil. They will be displayed in 550 agrarian service centers and 50 district agriculture training centers throughout the country. Another 2,000 posters were printed to accommodate the requests of private sector partners, including major milk and agricultural produce companies, who will display the posters in their village collection facilities and offices. 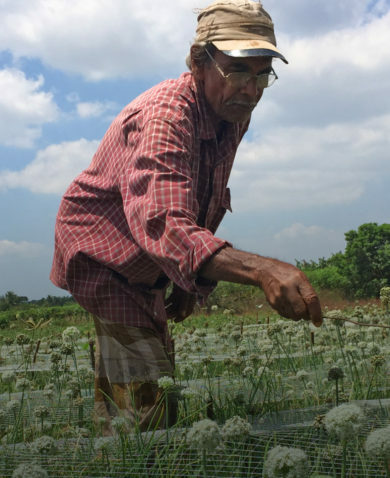 Even in just a few months, others like Mr. Kapilarathne are sensing a behavior shift as more farmers incorporate this new knowledge about pesticides into their practices. 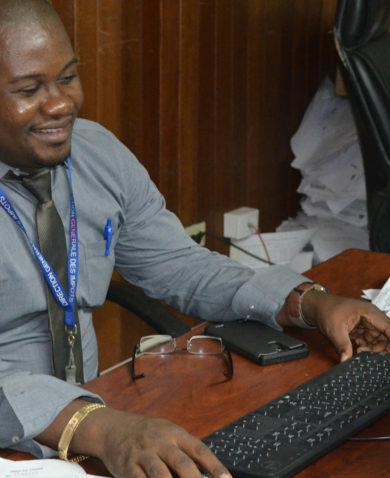 This knowledge is spreading to government officials, who in turn will pass the information to others; 150 more will be trained in the coming months alone. This combination of training and targeted materials, which has proven its worth in Sri Lanka, could certainly be adapted to different contexts and languages. It’s undoubtedly an approach that will continue to grow.